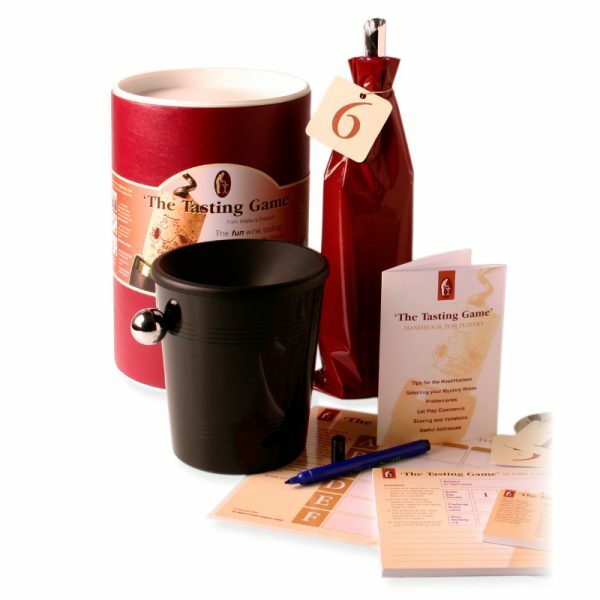 Fun, educational, blind wine tasting game. Own label versions. Game requires 6 different wines for tasting.